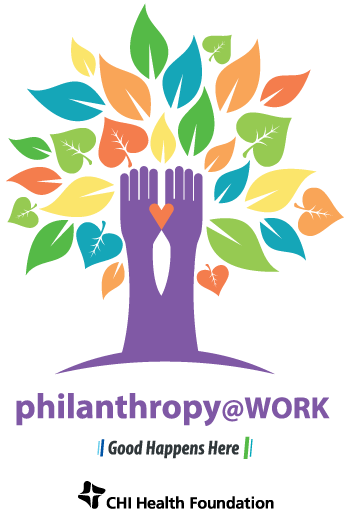 As always, I like to share the origins of our campaign name, Philanthropy@Work, because it so perfectly describes the people at CHI Health. The word philanthropy originates from two Greek words, philos, meaning loving, and anthropos, meaning human being. To have chosen a career in health care is to have responded to a truly special calling to be a loving human being.